Barbara Gordon is no stranger to dusting herself off when disaster strikes, so when a fire destroys everything she owns, she spots the opportunity for a new lease on life - and seizes it! 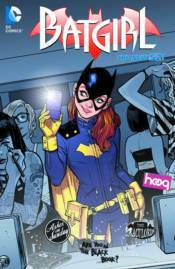 Following the rest of Gotham City's young adults to the hip border district of Burnside, Barbara sets about building an all-new Batgirl�and discovers new threats preying on her peers! As the new hero of Burnside, Batgirl gets started by facing twin sister assassins on motorcycles! Collects BATGIRL #35-40.